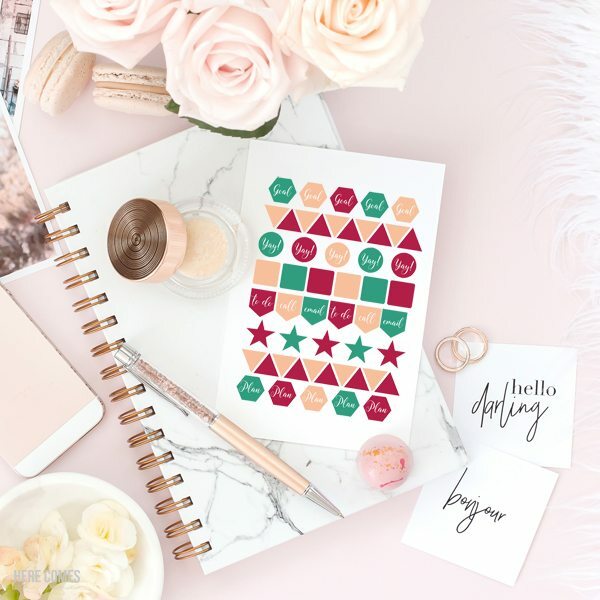 These printable planner stickers are sure to keep you organized and on track! Every January, I buy a planner hoping that it will miraculously help me reach my goals. I meticulously fill in the days with everything that I need to get done. But by February, the planner sits empty. I know that writing down goals makes your more likely to reach them. And I DO write them down. But I’m convinced that the reason I don’t use my planners as much as I should is because I’ve never filled them with pretty stickers. Pretty things and spaces just make me more motivated and productive. So this year, I bought a planner that includes stickers. Just looking at them makes me happy. And I want YOU to be happy to which is why I’ve created these printable planner stickers for you. This file is for personal use only. You may not sell or redistribute it. On a Silhouette, use the trace tool to add cut lines and add registration marks. 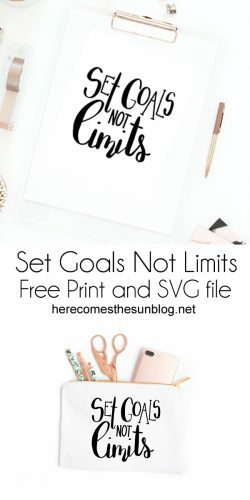 On a Cricut, see this tutorial. 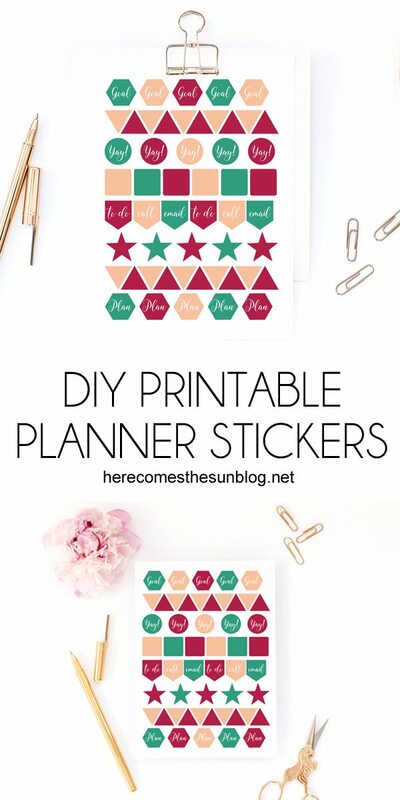 Print out the printable planner stickers onto a sheet of sticker paper. I recommend these matte white sticker sheets. 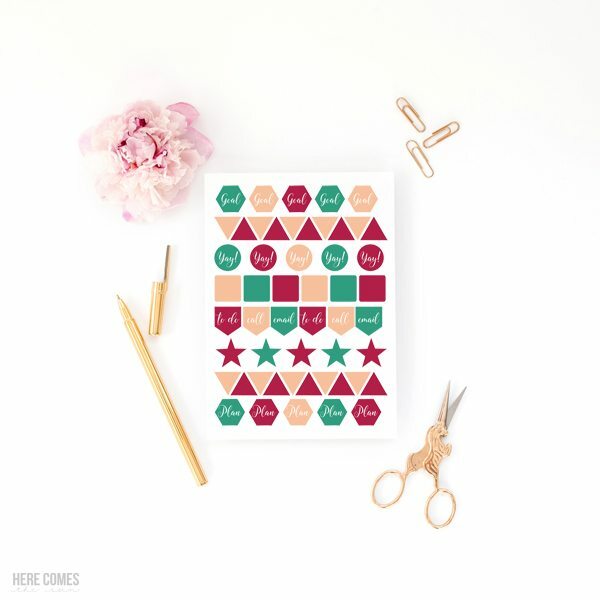 Once the stickers are printed, place them onto a cutting mat and send them through the Silhouette or Cricut to cut. If you don’t have a Silhouette or Cricut machine, you can always use scissors to cut around the stickers but I highly recommend a Silhouette or Cricut so you can get that “kiss cut” and it does not cut all the way through the sticker paper. Aren’t these stickers so much fun? I’m loving the colors. I created them to match the colors of the planner that I bought for this year. I’m not a big fan of really expensive planners. I know that many people are but I just can’t justify spending an arm and a leg on planners (I’d rather spend my money on pretty stickers to go IN the planner). I found a planner in the dollar section of Target. You know, the section that you call the dollar section but the stuff you really want is more like $3 or $5. So when the stickers that came with my planner run out, I’m good because I can just print more using my printable planner stickers. 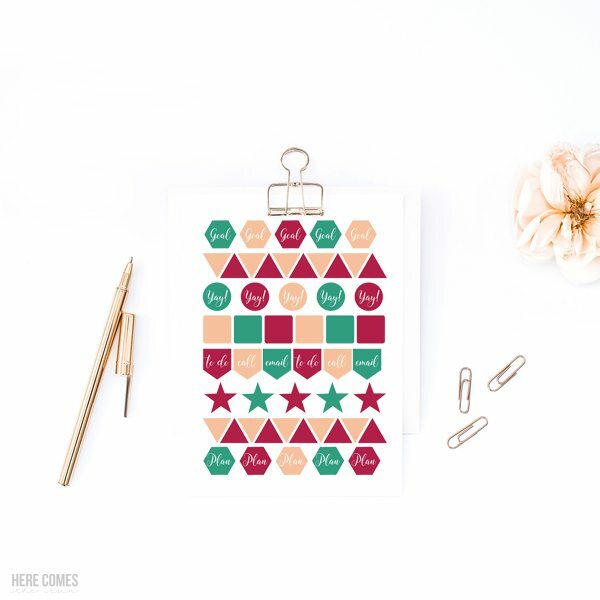 I hope that these planner stickers help you stay on track this year. And I’m hoping my planner is still chock full when February rolls around.